Does anybody have any clue on how the FA define Dissent? This isn’t a dig at refs before anyone gets upset, I just want to understand what is actually considered dissent?! Remember this is in the opinion of the referee on the day. Fair enough, by the letter of the law saying “I disagree” is dissent then! Does seem a tad harsh though! Are you allowed to get a yellow card and sin binned at the same time ? I thought it was one or the other . A yellow card is still used when sin binning a player. Personally, I think it should be a blue card however the IFAB think differently. I was sin binned myself a few weeks ago for asking a referee why a foul throw wasn't given (the ref told me it was a foul throw). I got binned for that. It all depends on your referee I suppose. It's a bit of a double punishment , a fine and missing ten minutes . Think it should be one or the other really . If it's left to the ref's discretion there will always be disagreement. Some refs seem very tolerant on this subject. As Titus says there is no fine. Only thing is it counts towards the caution count for that player. Everyday is a school day . Thanks for clearing that up ?? There’s laws of the game that are delivered differently by referees!! Go work that one out!!! Also frustrating that players react differently to the same decisions but we can’t have it all! You will never get consistent on things like dissent and OFFINABUS language because both referees and players are humans. It would be unfair to state certain words as it is also the way in which it is said (both tone and body language) that effects whether there will be a caution/red or not. Does seem a little harsh, but I guess the answer is not to bother saying anything to a referee! Until you play a higher standard!The higher you go the worse it gets! Well said BighairyDave. If we all act more respectfully to refs then we might retain and add to the refereeing pool and lets be honest most refs operate at the same levels as most players with good and bad days mixed in. Hi Bri Hope you are well mate. I can remember moaning at a ref once after dropping yet another corner claiming I had been fouled. The reply from the ref has stayed with me, he said " You should be called Spill Davies so stop moaning at me until you can do your job half as well as I do mine" I had to laugh, bought him a pint after and learnt a lesson. We all just do our best and try and enjoy the game and I have never tried t be crap unless bribery was involved??? Lets all get along and get back to enjoying our football. I know I'm late to the party here. I think the sin-bin rule is a good idea however further clarification is required. We had a referee last month and before KO he stated that any swearing would result in a 10min spell on the sidelines. I would 100% agree that foul language should not be aimed at the officials but not so sure I cannot call myself a t*** if I hook a simple pass out of play. During this game I received a yellow(sin-bin) for questioning a decision, not foul language was used. I found out last week that I have also received a £10 fine, is this correct? Seems like double punishment to me. No, you shouldn't be charged £10 when you have committed an act of dissent which has resulted in you being sent to the Sin Bin. Contact Cornwall FA about that (via club secretary). A referee should only use the temporary dismissal system if an act of dissent has occured. Anything else is sanctioned via a caution and/or red card. 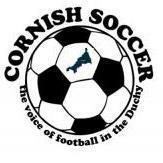 If you feel a referee has used the system incorrectly (or not used it at all), get your club secretary to have a chat with Cornwall FA. This ensures that the referee can receive advice and further training, if required. I had the same issue after my sin bin. Spoke to Richard Pallot today and it’s an error on their system that is generating the fines. He’s working on a fix now apparently. Gotta pay for their Xmas drinks somehow! Over most of the rules a referee must surely have freedom to use discretion. Foul mouthing a referee, such as calling him a ''F . . .ing idiot'' should, in my book be a straight red card. Such dissent shows a total lack of respect, especially if shouted or said in a provocative and threatening manner. It also increases the stress levels the officials experience and will eventually drive more and more referees to quit the game. Red cards for threatening abuse of officials, should have the full backing of the FA and the CCFA. Just to say it is Laws not rules and I agree referees should apply them especially the Language one but Referees are human and it seems most accept Language as part of the game and do not take action. Yes I know what you mean sir but, there is another side to this. Supporters don't wish to hear all this foul mouthed abuse and what is more, I have spoken to dozens of supporters over the seasons who no longer bring the family to games because of all the bad language. It would be great if families started to come to matches again, but people just don't want all the foul language. Red cards for foul mouthed abuse of officials, are a must as far as I'm concerned. I want to bring my little girl to my games (and my boy when he's here and old enough) however I'm not willing to have them subjected to the foul language we hear every game. I think that everyone would agree that it’s a red card for foul and abusive language towards an official. However, what about all the other swearing that goes on that is caused from frustration or other matters. I know when I played I would swear a lot, if I was near people standing at the side I would apologise afterwards as well though. The start of removing the “dissent”/“abusive” language towards officials needs to start from the top of the national game and also at the top of the local game. As many have said on here before, the abuse towards officials in the SWPL is a lot higher than Trelawney level. Be interesting to hear a referee’s perspective on this and why it’s condoned at a higher level. It’s condoned more in SWPL because the clubs have so much power over a referees promotion (and potentially future career)! Club marks are 50/50 with Observer marks so a couple of bad clubs marks means season over for promotion and more than likely struggling at the bottom of the merit table. It probably also frustrates the level 4 referees who can’t take the correct action! Hmm.. some interesting reads. I do like the idea of blue card and have seen it used a few times over the past couple seasons. But 1 thing I saw a couple weeks ago.. was an opposition player getting sinbinned in 40th minute. He then came on 5 mins into 2nd half. All perfectly fine. Until 5 minutes later he absolutely lunges in recklessly. The referee gives him a yellow. I'm saying to ref but that's his 2nd yellow, he said "no the one in first half was a blue not a yellow." (Even though he showed him a yellow as he does not own a blue!) So I just want clarification... if you have been sinbinned does that still mean you are able to get booked and stay on pitch? There is no blue card. But the referee was correct, technically with a dissent caution you could be given 3 yellows before getting a red.